AT just 19, Castleford Tigers’ half-back Jake Trueman is starting to show a football maturity that belies his tender years. Anyone who saw the teenager help his depleted side to a famous victory at Warrington Wolves last week will testify to that. 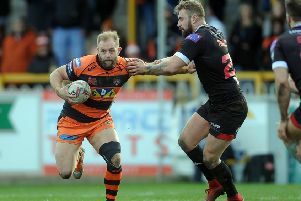 The key now – just as it is for last season’s League Leaders winners as a collective – is to start delivering consistently which is why plenty of eyes will be on him once more when Castleford host Hull KR tomorrow. Trueman, who instantly demonstrated his potential by scoring a hat-trick on his first league start at Wigan last September, has chance to show he can be a controlling influence again. England scrum-half Luke Gale is out for three months and fellow halves Benny Roberts and Jamie Ellis remain sidelined as Tigers – up to fourth at the start of this round – seek to keep Rovers in trouble at the other end of the table. “I have enjoyed the extra responsibility, especially at Warrington,” admitted Trueman. “I loved that. It was probably the best win I’ve been involved in with all the injuries and Warrington were flying. I have enjoyed the extra responsibility, especially at Warrington. I loved that. It was probably the best win I’ve been involved in with all the injuries and Warrington were flying. “But we had Q (Quentin Laulu-Togaga’e) at half and he didn’t really know the players or systems so I had to be more dominant. “I enjoyed that; it’s something I’ve probably got to do more if I want to go to that next level. It has been a great experience this year being in the halves and having to dominate the players around me. Castleford were clearly delighted at being able to recruit Trueman from troubled Bradford Bulls at the start of last season when his home-town club went into liquidation. “I am so much better for my time here,” he added. “A lot of the technical stuff that’s needed from a half-back they’ve worked on plenty. 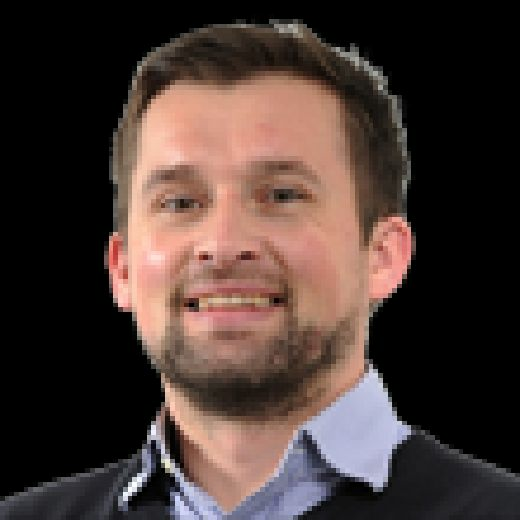 Castleford have some extra experience returning tomorrow with veteran Kiwi centre Jake Webster and former NRL prop Junior Moors both back from injury although the Robins are set to give a debut to former England second-row Joel Tomkins following his switch from Wigan and also see captain Shaun Lunt back from injury. Powell’s side beat the East Yorkshire club 42-14 in the away fixture just a fortnight ago but you sense their opponents will be better placed to challenge this time around. Trueman, whose sharp passing range and running game have made him such a threat, said: “It’s very important to back up what we did at Warrington. “But we can’t get carried away. We did after Leeds; we got a very good win against them (at Magic Weekend), then came up against Saints and didn’t play very well. “We’ve got to keep getting the two points if we want to stay around the top-four. Trueman is especially enjoying his role given, not long ago, he was unexpectedly positioned at full-back, although he did not look out of place there either. “It took me by surprise a bit because I’ve never really played there before, or even trained there before the week going into the Leeds game,” he recalled. “Then he said ‘you’re coming off the bench and going in at full-back’. It was a bit of a shock. Half is probably my favourite position. It was a lot harder at full-back, more running and defence work. As well as looking to reach Old Trafford, Papua New Guinea also looms at the end of the year after Trueman was named in the initial England Knights squad. He insisted: “It isn’t on my mind. I haven’t thought about it that much. I’ve got to play well for Cas first to get a chance.